Considering the amount, as well as the types, of food we put into our mouths over the course of a week, it’s almost shocking that many of us go months or even years without suffering from stomach ailments. Our stomachs are a great repository of all things good and bad that we consume, which means that some of the best work we can do on behalf of our health is finding the right supplements and vitamins to stick into our stomachs to support our health. A lot of things can go wrong with our digestive system and our stomachs, including plenty of things we manage to bring on ourselves, whether unwittingly or apathetically (“Oh, just what I need, another slice of hot pepperoni pizza [or a monster fast-food burger] . . . oh, well, down the hatch!”). Some common digestive issues include upset stomach, heartburn, bloating, diarrhea, and constipation. At times, it’s no wonder. Another common condition is nervous stomach, also known more formally as irritable bowel syndrome (IBS), which affects one in every five American adults, per livestrong.com. Well, most of us pretty well know where our stomach is – all we have to do is look down in front of us and see it, and with any luck still be able to see our beltline below it. Technically speaking, and going inside our bodies, the stomach is an organ that is positioned in between our esophagus and small intestine. This is where the digestion of protein begins, per medlineplus.gov, and it has three primary functions: 1. To store food that has been swallowed; 2. 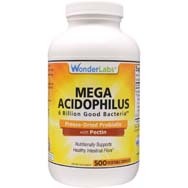 Mix food with stomach acids; and 3. Send that mix on to the small intestine. In addition to the various stomach conditions listed above, there are also more serious ailments to be aware of, such as peptic ulcers and GERD (gastroesophageal reflux disease), which takes place when there is a frequent occurrence of stomach acid flowing back up into the esophagus (the tube connecting our mouth to our stomach). Alfalfa. Also known as California clover, it is considered a win win for those suffering from indigestion or peptic ulcer. Artichoke leaf extract. Has been shown to lessen symptoms of indigestion and to alleviate nausea, vomiting, gas, and abdominal pain, per webmd.com. Vitamin B3. 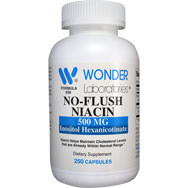 Also known as niacin, it helps protect the health of the digestive system, per newsmax.com. Chamomile. Can also be found in the form of a tea, it is considered great for an ailing stomach, per wisebread.com. Devil’s claw. It’s not sinful to use this stuff, which is a natural supplement considered helpful as a digestive tonic. Digestive enzymes. These include pancreatin, bromelain, and trypsin – all of which assist in the digestion of consumed food, per betternutrition.com. Ginger. Traditional Asian medical practices have used ginger for hundreds of years to treat stomach aches. Best used in small doses, per webmd.com, it is also used to treat nausea and vomiting during pregnancy. L-glutamine. A supplemental form of a substance naturally produced in our bodies. It might help relieve diarrhea brought on by surgery, infections, or stress. Per betternutrition.com, it is one of the 20 most important dietary amino acids. Licorice. Known mostly for its apparent ability to help with stomach ulcers. Peppermint leaf. A natural remedy for issues related to the stomach and intestines. Not to be confused with peppermint candies. Probiotics. 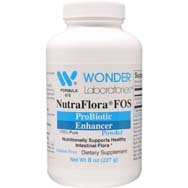 A great source of living organisms, mainly “good” bacteria that can help with digestion and general digestive health. A popular source of probiotics, in addition to supplements, is some yogurts. Skullcap. 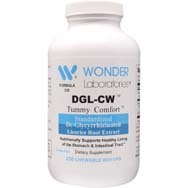 Love the name; among the supplements considered well suited for treating IBS. Triphla. Long used in centuries-old Ayurvedic medical treatments for stomach health as well as being a detox agent and a bowel cleanser, per newsmax.com.